If we search for the shopping paradises in the country, then the first and the foremost name which comes in every mind is Rajasthan. The shopping in this state includes all- from paintings to gems and jewelry to handicrafts to footwear to clothes. The bling of this state has a tradition of captivating the customers from every nook and corner of the world with its product range. Let’s have a look at the shopping dens of the different cities in Rajasthan. Rajasthan is renowned in the world for its captivating designs in jewelry and gems. The Pink City, Jaipur is famous for the precious stones shopping. The famous bazaars here are Bapu Bazaar, Johari bazaar, Nehru Bazaar and Tripolia Bazaar, to name a few. Apart from the intricate pieces of jewelry, you can also indulge in the shopping of mirror work, block printed textiles, exclusive carpets, blue pottery, tie and dye style dresses, table clothes and mattresses. Another famous offering here is the traditional jooties, which looks utterly beautiful. The Rajasthani handbags can be widely purchased from the city of Jaipur. 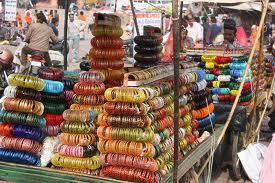 A variety of saree, called Lahariya saree is a popular variety of saree which is found in these bazaars. One can also buy heritage furniture and other leather goods from these bazaars here in Jaipur. But, the captivating factor of Jaipur shopping is its precious stones, gemstones and pieces of jewelry. If Jaipur tops the list of being an ideal shopping destination in Rajasthan, then Udaipur is also not far behind. The shopping dens in Udaipur are Bapu bazaar, Kala Niketan, Hathipol, Clock Tower etc. The highlights of the shopping interest in this city include bheels images, ready made garments, silver articles and jewelry, camel souvenirs, bed sheets done in block printed style, enamel artifacts and handicrafts. The articles made from white metal and soap stones are the forte of this city of Rajasthan. The miniature paintings as well as the articles of deities are sold in the white metals. One can also find a unique range of embroidery and mirror work at a village called Shilpgram which is located at a distance of 3 km from Udaipur. This city famous for its thrilling camping activities is a big name when it comes to indulging in a shopping spree. The narrow lanes and bustling markets are its regular feature. 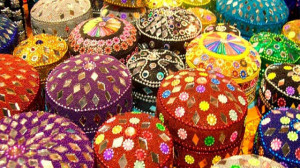 Things like wooden ornaments, mirror embellished products, rugs, handicrafts, carpets, bandhini textiles, silver metal jewelry pieces, leather products, woven items, embellished jooties and puppets are the regular feature of this market. Another amazing aspect about the product range of this city is its wall hangings, which are made from an old piece of cloth and is embellished using mirrors and other embroidery work. These wall hangings are available in different size from the small to the large king size hanging. Another shopping product of this place is its small wooden boxed, which are known for their intriguing patterns, motifs and colors. These are found in and around the city in wide numbers. If you wish to indulge in the shopping of tie and dye sarees and other embroidered handicrafts, then Jodhpur is your destination. This place has no competitors when it comes to shopping for wooden articles. You can find here chair of any size and any type in fractions of a second. One can find here the heritage furniture, which not only looks classy but also add a cultural touch to your home space. The antique furniture is certainly a hit with the buyers of both the local and foreign nationals. Jodhpur is also the center for wooden toys. One highlighting factor about these wooden furniture and toys is its cost. They are available here at a reasonable price. The price is so economical that it will certainly not burn the pockets of any middle class individual. However, the antique pieces of furniture may be a little higher in terms of cost, but they would certainly not jeopardize the account books. Another fascinating shopping attraction here is the polo dresses. These dresses which are adorned by the Polo players is widely available in this place. It is believed that the polo dress has its origin in the city of Jodhpur only. Indeed, shopping in this land is a like a treat for the shopping lovers. Shop till you drop!! 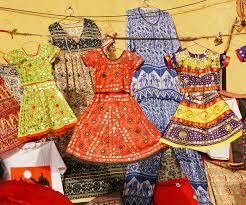 Have a delightful shopping in Rajasthan! !